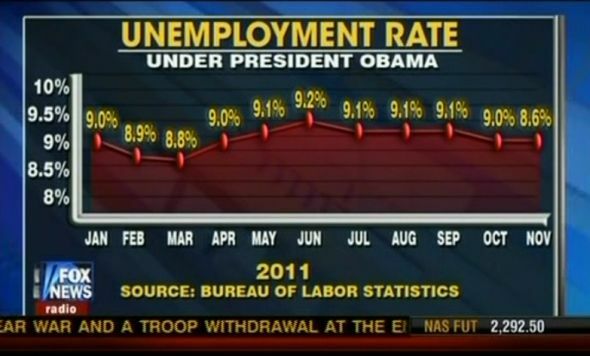 Who thought stats would enter into every aspect of life? What about a Belgian dj duo called Mumbai Science, with the track "Ancova"? And this thanks to 2 Many Dj's and Music for Life 2011. 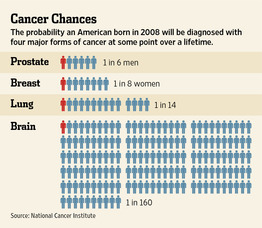 The question is: How do you tell a story with these numbers that is convincing (i.e., can raise most money)? Such messages can be effective in gaining attention and marshaling support, advocates say. But they also can mislead or even scare people ill-equipped to translate the numbers into their personal level of risk. And they can pit two diseases against each other in a fight over which one affects more people. See the original post for the answer. Brent Saylor recently joined the lab, and this piece from At Guelph provides a nice introduction of some of the general themes he will explore for his PhD work. "Cross links show complex relationships between two or more distinct segments of the concept map"
It is one of the reasons why I am currently involved in a collaboration (among some others) on genome (or transposon) ecology by co-advising Brent Saylor with Ryan Gregory, and on anthropology in ecology by co-advising Ingrid Ng with Bob Jickling. which I think is linked to "Engineering data analysis" by Hadley Wickham. Both advocate an explicit visual tool to explore complicated and unexpected patterns between groups of variables. The domain specific visual language advocated by Hadley Wickham, I think, implicitly provides a model to obtain the different levels of abstractions necessary for moving up and down your data iteratively in R.
Would Hadley Wickham have Bret Victor in his RSS reader? If not, I think he should, because imagine what would happen if we put these two together in the same room. 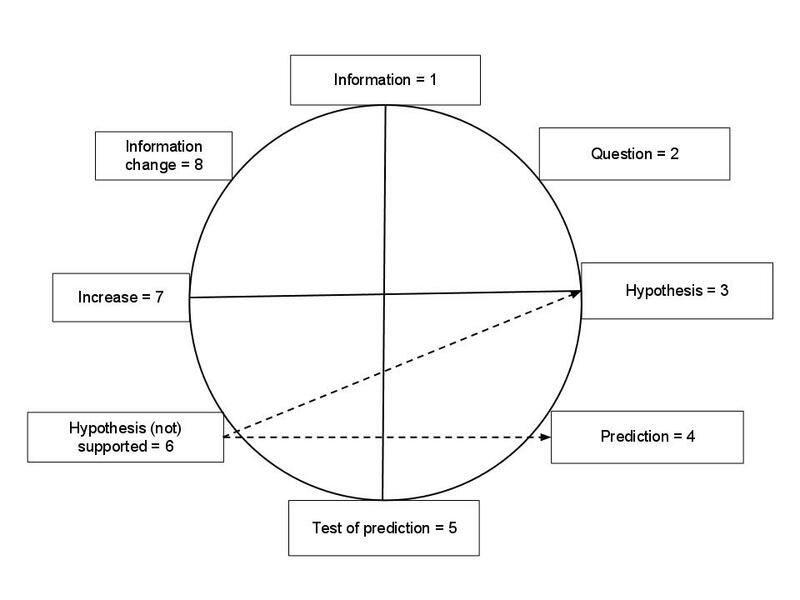 For me, one of the biggest mysteries of the scientific method (see e.g. this post), is that it provides such a rigid structure, yet at the same time so creative. 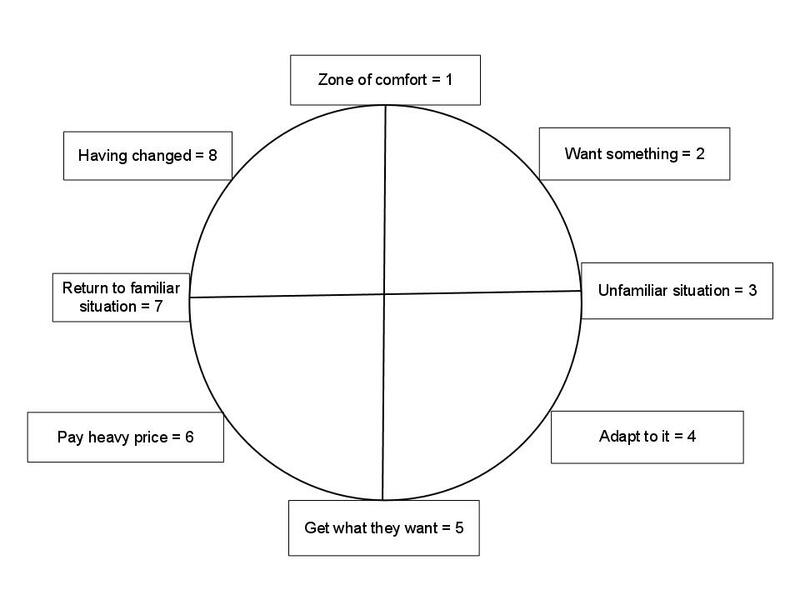 It turns out that constraints actually lead to more global, conceptual, and maybe thus more creative thinking. Jonah Lehrer in Wired provides some excellent context for a recent study that investigated this link explicitly. Highly recommended. At the same time, this could also explain one of my other pet peeves: why concept mapping is such a powerful method. When I introduce this, I often get the complaint that it is too restrictive to think in terms of concepts and links. However, this could actually be one part of the success of this method! 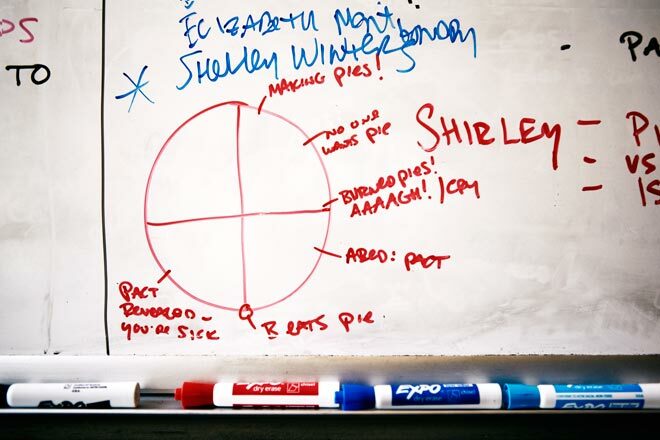 Even the tools to develop the plots are similar to my tools: the whiteboard. But somehow I don't think I would make it in Hollywood? I am guilty of this at least twice a day. However, I was a bit confused by some of his arguments. Below, I provide some details about my confusion, and I hope that somebody will be able to resolve my confusion? 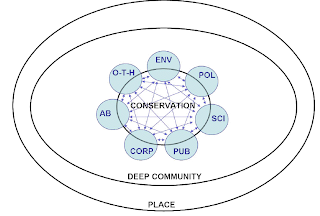 "Disturbance reduces species’ densities, thereby weakening or eliminating competition and preventing the competitive exclusion that occurs in undisturbed environments. But too much disturbance kills off all but the most disturbance-tolerant or quickest-recovering species, hence intermediate levels of disturbance support the highest diversity." 2) with limited disturbance, competitive exclusion is halted because of lower densities, and thus resources not being limiting. 3) high disturbance is not about competitive exclusion anymore, but stress tolerance. Jeremy argument that this is a zombie seems to only address option 2 (lower densities does not necessarily mean lower interaction strengths, and thus weakening competitive exclusion). I think that Jeremy would agree with 1) (competitive exclusion is such a basic concept) and, maybe implicitly, with 3). He uses both theoretical (Chesson and Huntly 1997) and an experimental (Voille et al. 2010) evidence to back up his view of conclusion 2) of how competition is an important structuring force at all levels of disturbance, and I agree with that. However, my interpretation of statement 3) (and IDH in general) is that this is not only about competition, but about competition in the presence of different stress tolerances between species. I always thought that the competition-tolerance trade-off is precisely an example of what Chesson and Huntly mean when they write "Species coexistence requires niche differences, and harshness does not in itself make coexistence more likely". Isn't the competition-tolerance trade-off exactly such a niche difference? And wouldn't intermediate disturbance allow the coexistence of these two types of species, and thus higher species richness at intermediate disturbances relative to low and high disturbance situations? I am probably missing something, but I think that the Chesson and Huntly argument make this only a zombie if all species are ecologically similar (from their abstract: "Near-exclusive focus on the secondary effect of these forms of harshness has led ecologists to believe that they reduce the importance of ecological interactions, such as competition, and favor coexistence of even ecologically very similar species"), while the IDH argument explicitly deals with (two) groups of very different species. Interestingly, Voille et al. 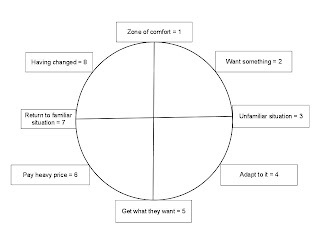 2010 also provides an example of how competition-stress tolerance trade offs (see fig. 1) can lead to an IDH-like pattern: "Before day 22, species extinction occurred mostly at the high end of the disturbance gradient, resulting from the joint effects of competition and disturbance (discussed below). 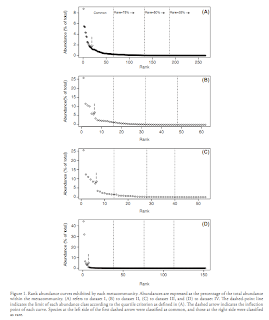 Between day 22 and day 24, however, competitive exclusion occurred rather rapidly at low disturbance levels, presumably because of strong competition associated with high population densities. As a result, diversity was temporarily high at intermediate disturbance levels on day 24. 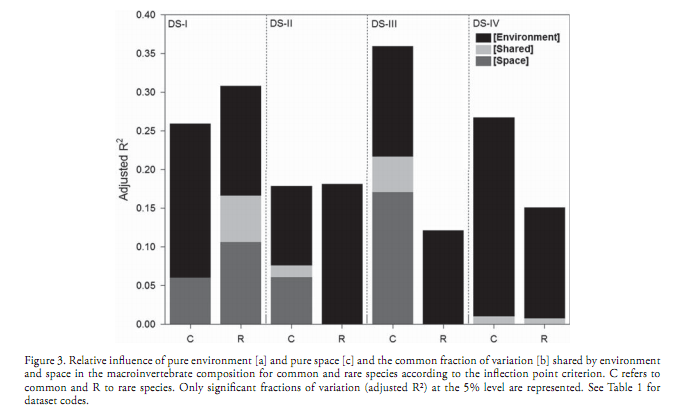 On all other sampling days, however, species richness always decreased monotonically with disturbance (Fig. 2 A, B, D, and E)." While this quote illustrates both the short-term expression of IDH (only a couple of days compared to the strong competitive exclusion throughout the full duration of the experiment in this system, it does illustrate the importance of trade-offs, and explicitly incorporating the temporal component in these IDH studies. 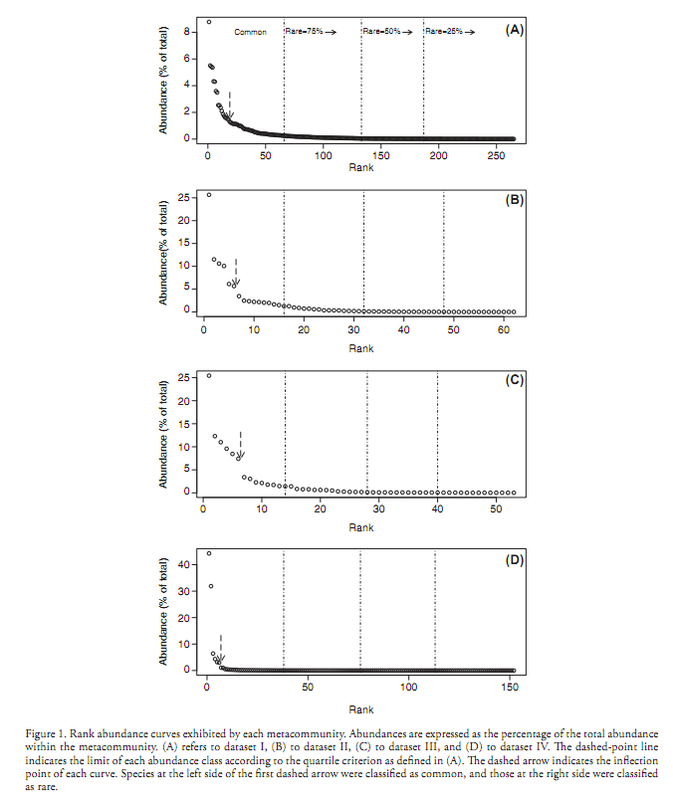 Incidentally, the nature of the disturbance was very drastic: it eliminated a fraction of the whole population every day throughout the experiment, resulting in possible coexistence at only the 2 lowest disturbance levels. So I don't see how these two lines of evidence refute this first zombie as a potential mechanism leading to an IDH-like pattern. What am I missing here?
" Disturbances interrupt competitive exclusion by temporarily reducing all species to low density and weakening competition, thereby allowing all species to subsequently increase." Jeremy agrees that after disturbance slows exclusion: "I mean, you take a competition model which exhibits rapid competitive exclusion, you add disturbance, and you get much slower exclusion. Which means that disturbance slows exclusion, right? And if you look at the simulated time series, you see that all the competitors increase after each disturbance". He then makes a switch I do not understand: he claims that while this is true, it is not the correct comparison to make, since disturbance changes not only time to reach exclusion, it also changes the long-term average mortality rate. However, from a community that experiences disturbance, I fail to see how it matters whether disturbances changes only the time to reach conclusion, versus time to reach conclusion AND long-term average mortality rate. From the community's perspective, competitive exclusion is temporarily halted, and thus potentially increases diversity (and potentially an IDH pattern). I think the key point here is "temporarily". I agree that after a longer time period the community will reach equilibrium with associated competitive exclusion, and thus "zero effect on the long-term outcome". But why is it necessary to eliminate the temporal dynamics in this IDH context? 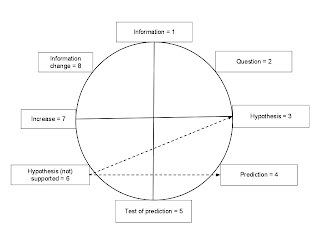 Disturbance has several components (see Mackey and Currie 2001, Table 1), of which several are explicitly temporal: frequency, time passed since last disturbance, chronic vs. episodic. In these context, I fail to see why zombie 2 has no merit. What am I missing here?
" If, due to fluctuating environmental conditions, the identity of the dominant competitor changes on an intermediate timescale, no one species will ever have time to exclude the others and all will coexist. Overly-slow fluctuations will allow exclusion to take place before conditions change. Species will average across overly-fast fluctuations, and whichever species competes best on average under the full range of environmental conditions will exclude the others." "... long-term average competitive outcomes ..."
"... without worrying about the frequency with which the environment changes ..."
"... it just takes a really long time ..."
"... notice that we never said one word about the timescale ..."
On the other hand, he does agree that "fluctuating conditions that temporarily favor one species over another do create an opportunity for that favored species to grow". Again, he seems to make an implicit assumption that "temporarily" is not good enough to result in an IDH pattern, and he completely ignores the temporal aspects of IDH (see above) by focusing his arguments so strongly on the long-term dynamics. Are these three zombies identified by Jeremy really zombies? It seems to me that his first zombie actually provides a mechanism for (potentially long-term) IDH patterns because of the competition-tolerance trade-offs associated with it, and that zombies 2 and 3 are only zombies when looking at long-term dynamics. However, this makes the important, and in my view overly restrictive assumption, that the temporal aspects of IDH are not important. Based on my limited understanding of the theory, these are potentially valid mechanisms to explain the IDH pattern. Again, I am probably wrong in some aspects of my logic (see Jeremy's conclusions in his blog, logic and intuition is always a guide that has to be treated with caution). 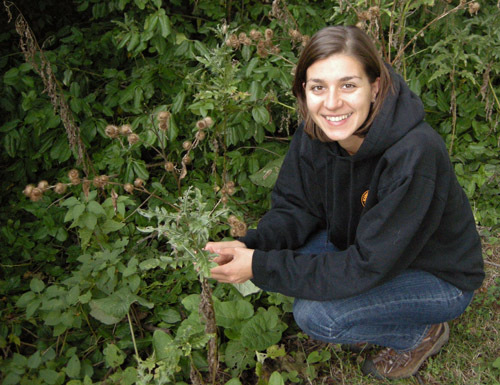 That said, I also approach IDH in my community ecology class as a community ecology zombie. 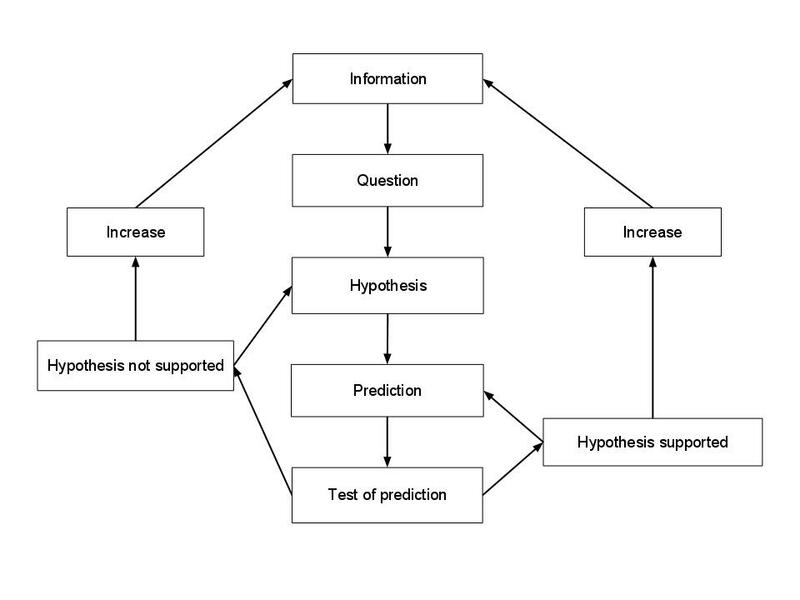 I base my argument, however, on the Mackey and Currie (2001), which empirically shows that, despite these valid mechanisms, in general the IDH pattern is not that prevalent in nature and thus swamped by other processes. This is also the reason why I thought that my field course students would not find an IDH-like pattern, and proved me wrong. To their delight! As I recently noticed, the majority of my posts here are unconsciously driven by the courses that I am preparing. The couple of posts on natural history and science are basically an illustration to my field course that I will be teaching next week (hopefully I will get some time to blog from the field). And in the fall, I will be teaching a grad stats course for the first time. As a transition between these two courses, here is a recent discovery: the blog "Datatelling", where the author defines herself as datateller: "explorer of data, a creator of information, a person who loves to look at numbers". Wind Flow from Jen Lowe on Vimeo. It is finally official, Marina's Vanier Award has been made public, and I can finally boast about it. 1 out of the top 167 PhD students across natural, social, and medical sciences at the Canadian level is very impressive. Congratulations, Marina. Karl recently cited this PNAS article in his blog post about the link between environment and society. I started reading it but could not get past the third sentence in the abstract; just those three sentences gave me plenty to think about. Sentence 1: "...the human condition is tightly linked to environmental condition." E.g. The Forsaken Garden by Nancy Ryley - I just started reading this book, about a CBC documentary filmmaker who got struck with "environmental illness" in the 70's at the height of her career. She eventually had to move from Toronto to the mountains in Western Canada to escape the environmental contaminants that made her sick. During her recovery process, she got deep into environmental issues and environmental philosophy, and started seeing her own illness as a reflection of "the soul-sickness of the planet"
Lots of other examples that back up the old adage "We are what we eat (and drink, and breathe, ...)"
Sentence 2: "...conservation and development projects should be able to achieve both ecological and social progress without detracting from their primary objectives." I am sure that these words are used with the best of intentions--I believe that most people who use these words have the genuine desire and compassion to change the inequalities that exist. But we need to use them critically. The glaring assumption I see in this text is: we have it better than they do, and we have to help them progress into us. While this is true in basic ways (we have clean water, food, shelter, rights, etc. and it is not fair that they don't and we should work to make things fair), it is an attitude that can lead to a kind of arrogance and perpetuation of the power difference that caused the inequality in the first place. What does it mean to "help the less fortunate"? Though used with well meaning, what preconceptions and assumptions are carried by that phrase? Is there a better way to talk about the injustices that exist, and the genuine efforts to reveal and dissolve them? 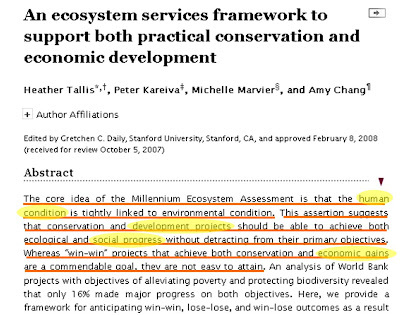 Sentence 3: "Whereas 'win-win' projects that achieve both conservation and economic gains are a commendable goal, they are not easy to attain." I recognize that abstracts don't tell the whole story; many abstracts are constrained by word limits and hence stripped of nuance. 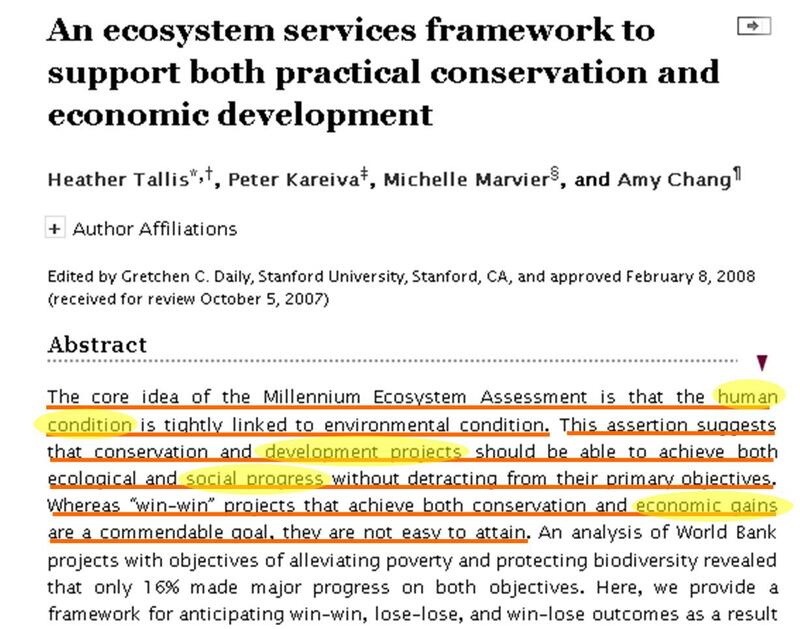 But how did "win-win" between the human condition and environmental condition (from the 1st sentence) suddenly become "win-win" between conservation and economic gains? Specifically, how did the human condition (from the 1st sentence) become equated with development and social progress (2nd sentence), and finally with economic gains (3rd sentence)? Maybe in some cases it is appropriate to use monetary wealth as a measure of human well-being, but this proxy should not be used a priori. What messages are perpetuated when we do so? What kind of citizenry is produced when we continue to automatically and unquestioningly equate "economic gain" with "the human condition"? "So now I have these two pieces of information dealing with the same issue, one qualitative, on quantitative. Which one is the most memorable, most true, most relevant?" 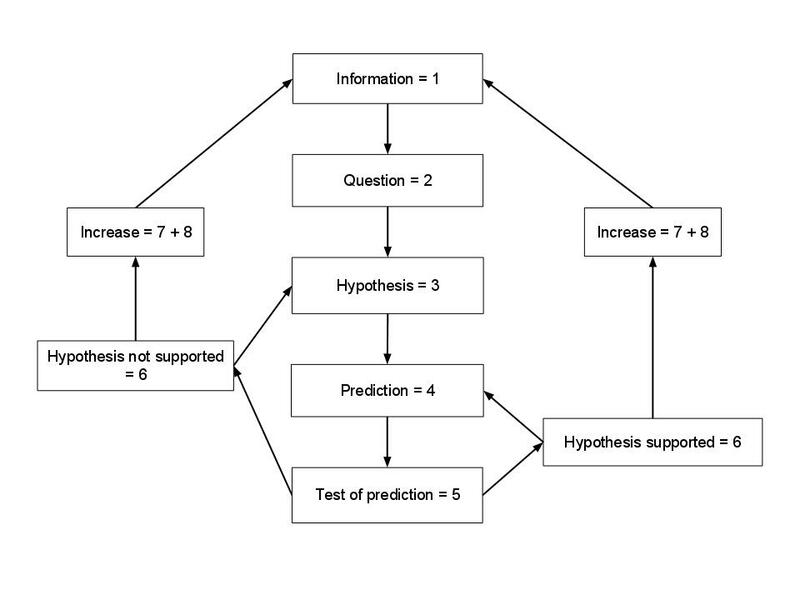 "In each experiment, participants completed one of two versions of a brief survey. 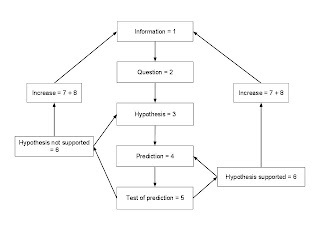 In one version, a short series of questions referred to voting using a self-relevant noun (e.g., “How important is it to you to be a voter in the upcoming election?”); in the other, questions that were otherwise identical referred to voting using a verb (e.g., “How important is it to you to vote in the upcoming election?”)." "So we hypothesized that using a predicate noun (e.g., “to be a voter”) as opposed to a verb (e.g., “to vote”) to refer to participation in an upcoming election would create a greater interest in and likelihood of performing that behavior—registering to vote and voting. If this hypothesis were confirmed, it would be evidence for the more general theoretical idea that simply framing a future behavior as a way to claim a desired identity can motivate that behavior." This simple difference in three words ("to be voter" versus "to vote") increased the actual, measured, voting by more than 10%! Now if we combine this amazing result with an assumption that it is easier for somebody to self-identify with a story about somebody else versus a graph or a statistic, I think that the starting hypothesis to the question "Which one is the most memorable? ", is the qualitative piece of information. Whether this makes it also more true, and consequently more relevant, is still a completely different matter. The results of this study also have other implications, though. One of the basic tenets in course design are learning objectives (see for instance this document from the University of Guelph). I advocates SMART (specific, measurable, achievable, relevant, and timely) verbs. The document already stresses the importance of writing them from the student's perspective, which makes it easier for the students to self-identify with them, but how about a study that randomly divides a class in two, and one half of the students get the learning objectives with action verbs, the other half with action nouns. Would this also result in a 10% increase in learner outcomes? Nature has a news article on 2 free alternatives to Web of Science, including your personal citation library. Another example of serendipity, because I created one a couple of days before the nature publication, and planned to wanted to dedicate a short blog to it, i.e., this one. Very similar, if you ask me, although the Google Scholar obviously includes more items. For instance, conference abstracts are included, and also the individual chapters of my PhD thesis! My past will haunt me forever. "Artists create; scientists discover. That’s our usual understanding of the thing, and scientists – together with some of their philosophical allies – have been in the van of insisting so. (That’s one way in which ‘relativism’ and ‘social constructivism’ are commonly opposed.) If science is discovery and not invention, then it follows that discoverers’ relation to what they reveal is different in both intellectual texture and moral resonance from Mozart’s relation to his operas, Shakespeare’s to his plays, and even Bush’s to his wars. You couldn’t say of Figaro or Lear or the Iraq war that they were waiting there to be ‘discovered’. ‘Something of that sort’ may well have come into being, but an example of ‘something like’ Figaro is Salieri’s Axur, Re d’Ormus or even Abba’s ‘Waterloo’. " "You can still say, with perfect accuracy, that the Origin is much more than its ‘essential’ theory of natural selection: it is a book, a magnificent theatre of persuasion, ‘one long argument’ (as Darwin called it), supported by masses of arduously compiled evidence, ingeniously organised and vouched for by a special individual, with known special virtues and capacities. [...] Wallace himself was well aware that it was one thing to come up with a theory but a much greater thing to make it credible: he thought of himself as a mere ‘guerrilla chief’ of evolution while Darwin was ‘the great general’, mapping out the grand literary and political strategy to make natural selection stick in the culture." No matter what we "discover", we also always have to present this discovery, and this aspect is also creative, and one of the the reasons why we celebrate Darwin and not Wallace. This "presentation" or "creation" has several important consequences, though. The article looks at some personality influences on his theoretical exploration of evolution and the writing of his books, and also on how his ideas have been used in very different contexts to further agendas of scientists and social movements (maybe something that Ingrid will explore to a certain extent in her PhD work). One other consequence of this presentation of discovery is that it shapes, implicitly or explicitly, the discoveries we are trying to make. Take for instance our "new" definition of rareness of a species in a community. Ingrid's main problems with this presentation are the hierarchical nature, focusing on the differences and not the similarities, elimination of certain influences. Our discussion than drifted to feminism versus patriarchal dominance structures, which are always fun discussions to have. But the main point is that these two presentation are related to the same "discovery", but have very different meanings to the creator and to the reader. You could argue that me shoehorning Ingrid's general picture into a specific structure will prevent me from finding potentially key influences, I can argue that Ingrid's general picture does not provide the reader an explicit guide through her thinking. The importance is not who is correct, but 1) finding arguments to justify a presentation, and 2) to be very aware of the consequences (advantages and limitations) of a certain presentation, as is illustrated by the synthesis of Shapin and our new definition of rareness. ps: we finally solved Ingrid's problem with my hierarchical concept map by ... making the concept go from left to right instead of bottom to top! Little things make a hugh difference. Robin Sloan wrote a beautiful short story (The truth about the east wind), with a very interesting format. It looks at the tension between religion and science, from a Greek tragedy perspective (you should really read it). "Zeus formed it into a girl and set her free to walk the earth. This was Athena. Pure curiosity. The spark made flesh. .Zeus had formed her well: her eyes were like microscopes, her feet like seismographs. She could taste numbers (even, sweet; odd, sour; prime, umami). She could smell questions. She could hear gravity. Athena was the nerd god." Eurus, the East Wind ("He became a mercenary hunter-killer, serving man and god alike. He was the original smart bomb. He was the invisible hand. He was the dagger that came down the chimney. He was the plague a la carte. "), tries to kill her, but she escapes because of her scientific knowledge. She ultimately disappears, but is she completely gone? Read the rest of the story, and do not forget that it is our job to blow like the wind! Recently, I found myself eavesdropping on two elderly fellows debating an age-old question: does size matter? Yes! declared one. Small ones have never satisfied anyone. It needs to be big! You’ve got it all wrong, countered the other. Proper use of a small one can be just as good as having a big one. And what good is a big one if you don’t use it properly? In a nearby lecture theatre the Costa-Rican Mermaid was preaching the power of long distance swimming to promote big ones. Down the hall, Barack Obama and David Cameron’s big ones were applauded while Stephen Harper’s small one was jeered. They were all speaking, of course, of marine protected areas (get your mind out of the gutter) at last month’s Second International Marine Conservation Congress (IMCC2) in Victoria, BC. This year’s edition of IMCC was located rather conveniently near where I now live on Vancouver Island. Like everyone else in attendance, the two old academics were attempting to communicate an idea, an opinion, or—seemingly too often at this conference—a cry for political sanity. Whether it was an activist, government scientist, graduate student, or academic, all of the nearly 2000 conference participants all wrestled with the same issue—being able to make a compelling case that fellow scientists and the general public are willing to listen to. To make marine science matter (which incidentally, was the theme of IMCC2) … a surprisingly difficult task in in an age of information overload and distraction. Also, bad news in a time global marine decline. …my own presentation didn’t deviate from the standard presentation format. And for my first time ‘round, I’m perfectly fine with that. I now have an appreciation of variety of ways we can effectively engage each other and the public. And engage we must. 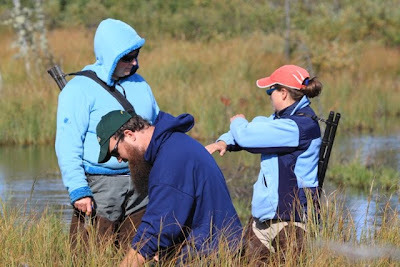 Luckily the folks from Google and NAMPAN were on hand with some neat tools that I think will help scientists and the public to interact in ways that are accessible, visually appealing and have the power to convey powerful messages and communicate the scale of current marine ecosystem decline. -Google ran daily seminars on integrating marine research findings into the google earth/ocean platform to communicate marine issues. The seminars played to packed crowds. With marine spatial planning a key component of most presentations, I have a feeling that google earth might change the way marine spatial planners communicate with the public. -NAMPAN (North American Marine Protected Areas Network - one of the products of NAFTA), also brought along some fantastic tools. In addition to having some of their own nifty maps and interactive tools, NAMPAN presented a process for creating easy to understand ecological report cards that are based on clearly defined criteria. The annual report card on the status of Chesapeake Bay has become such a success that it now runs on the front page of the Washington Post every New Year’s Day and has become a call to arms amongst the general public and local decision makers. As visual creatures, these tools will allow NGOs, grad students, etc. to stand alongside the most seasoned academics and government scientists and tell compelling and visually appealing stories to not just the scientific community, but also to non-scientists. Making the science matter. When it comes to marine science, this move away from typical, jargon dense and technical presentations is an absolute necessity (the worst offender at IMCC2 used text dense slides to suggest “an adaptive multi-scalable interdisciplinary framework approach” which uses a new “knowledge system” and “theoretical construct” to create “resilience in place” and a “way to move forward”). 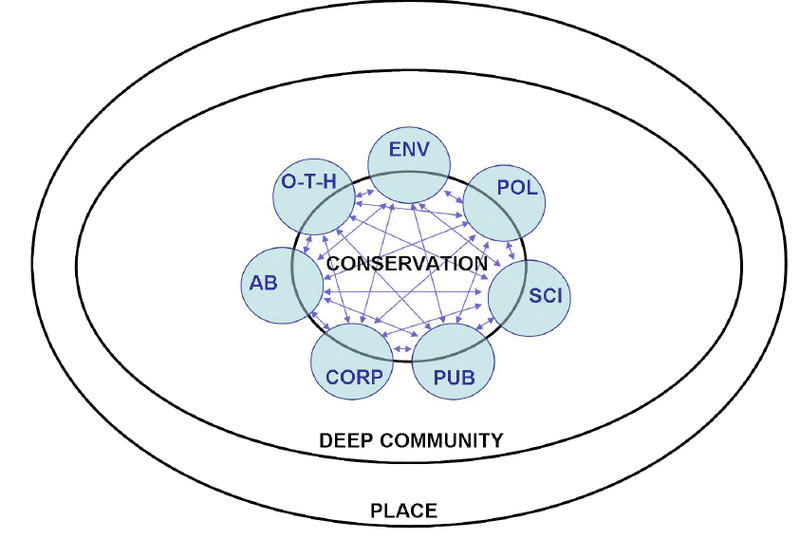 Much of the work in the marine conservation field stretches far beyond that of the scientific community and often has both social and ecological consequences. Having the tools to start communicating findings to a diverse audience is a step in right direction. An informed public is more likely to demand more from decision makers and is likely to become involved in things like citizen science. At IMCC2 I attended a day long pre-conference workshop on marine citizen science — a powerful tool for not only engaging the public (school kids, fishermen, hikers, retirees, divers, etc.) but to also generate high volumes of low cost observational data. Despite some logistical challenges, the programs have been highly successful, creating long term, information rich datasets. 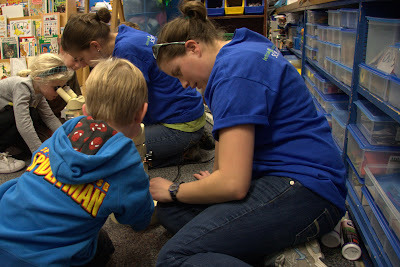 In addition to the audience reached by typical scientific publications, the audience reached by of word of mouth from the citizen scientists who collected the data was vast and engaged communities… making marine science matter to non-scientists. In a recent post, Karl wrote on the social benefits of conservation and the value of evaluating the successes and failures of conservation initiatives. One of the sources of failure cited in several conservation projects in Tallis et al. (2008) was a lack of communication infrastructure. Successful projects, on the other hand, informed the public of they were doing and why conservation mattered, backing it up with sound science. During my time in the Cottenie Lab I spent a lot of time grappling with how scientists choose to communicate and engage with the public. As I move to the next stage in my post-undergrad career I have a feeling that this type of communication will become a central theme. Beginning this August I’ll be starting a seven month internship with the Coady Institute. I’m heading down to Saint Vincent and the Grenadines to help facilitate the creation of a network of marine protected areas. I’ll be working with scientists, governments and communities to create a stable transition to alternative income sources and to track biological change in protected areas. A large part of the project will entail communicating that marine reserves are effective and the economic benefits of restoring ecosystem services are worth it. In other words, (you guessed it) making the science matter. The joy of running for me, in addition to spending quality time with the kids, is the idle time it offers me. My mind wonders off, and connects several dots that are floating around in my brain. One of these dots is this image I mentioned before. I mentioned that creating a process to move student from the first behaviour to the second was difficult. 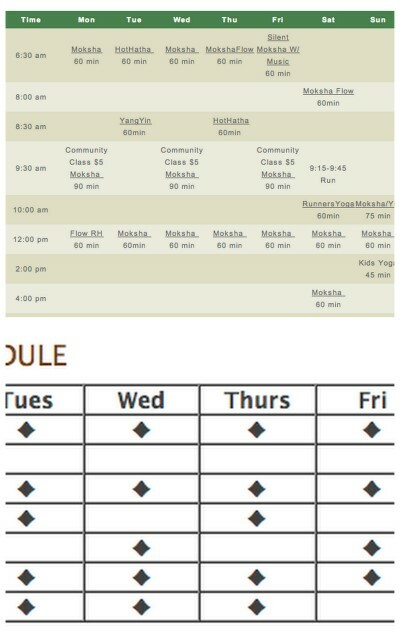 Another dot is why I like Moksha yoga, but could not be bothered at all by Bikram yoga. 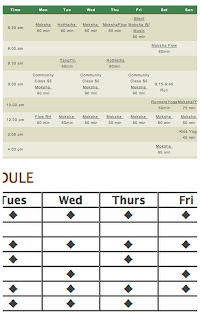 Below is a picture of the two weekly schedules: Several different options for Moksha, always the same for Bikram. The final dot is an chapter I have been reading with Ingrid out of the book "The educational imagination" by Elliot Eisner, called "Educational aims, objectives, and other aspirations. We summarized our discussion in the below diagram, with a student coming into a learning environment (the box), interacting there with peers and instructors, and at the end hopefully improving is some manner. We think that the chapter distinguishes two types of objectives: expressive objectives that observe student behavior in the learning environment, and "behavioural" objectives that observe and measure (the difficult part) the improvement. Teaching for me consists of instruction, correction, and inspiration. Instruction is an important part of the "box" you create (see dot 3), while inspiration is why I gravitated towards moksha yoga (in this case variation, while somebody else might prefer the meditative aspect of bikram), and correction is my tool to convert "Fail" into "Learn", which I think is necessarily tied the measuring aspect of observing. First day exploring Bluff A with Celia and Shelley. Putting the finishing touches on Celia's mesocosms before we put them in the water. The final product? Not quite...for some reason they keep sinking. Still troubleshooting. First day on Bluff D.
Shelley learning how we sample rock pools. 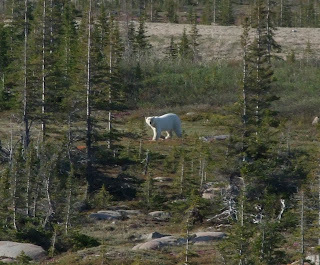 ...and of course my first polar bear sighting. 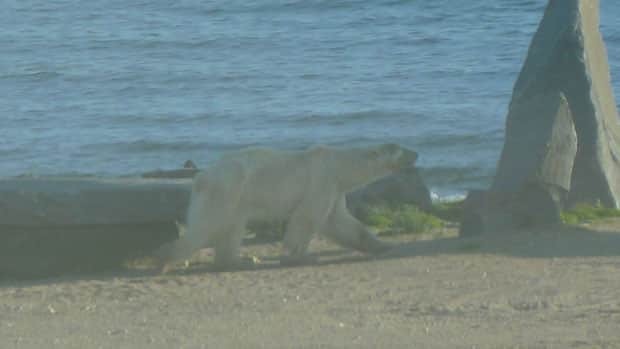 Right outside the CNSC. Link between improvement of the environment and society? A UK-funded programme to catalogue and assess conservation and poverty reduction projects in Africa, South Asia, China and the Amazon should help unpick some of the confusion. The seven-year Ecosystem Services for Poverty Alleviation programme, announced at the end of last year, is being funded with more than £40 million (US$62 million) from the UK government's Department for International Development, the Natural Environment Research Council and the Economic and Social Research Council. The first call for projects will come in the next few weeks. One in Nature itself, a couple of months older: Reserves 'win-win' for fish and fishermen. Especially the last one is really interesting, since it has an unbiased account of funded projects with both environmental and poverty alleviation outcomes, and uniform gains measurements. As you can see above, only 5 out of 22 projects were in the 'win-win' situation. While this seems at a first glance to be painting a negative picture, the article goes into greater detail in investigating the characteristics of these win-win projects. This is the true value of these exercises, because this can result in increasing the development of projects that maximize the benefit for everybody, humans and other-than-humans. It's been a long time since I posted something about the "Cottenie Commandments". Steve McCurry regular posts a series of his portraits, centered around a theme. One of these themes is "Lost in Thought" and pictures people hard at work by doing nothing. Often, by juxtapositioning the caption with the picture, he also tells a very intriguing story, with only one word. Very powerful.